For further information about Denbigh Franks Ltd Security Services, please do not hesitate to get in touch. We are always happy to help. 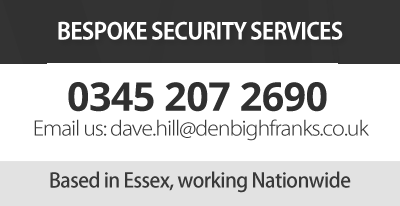 Based in Rochford, Essex and working Nationwide.